Aircast Walking Brace Weather Cover is designed to keep away moisture and to keep the brace dry throughout the usage. The Velcro closures helps the user to adjust the brace based on the comfort needed. Brace has a open bottom for ambulatory patients. Available in different sizes to fit every patient. Available in both Short and Long Lengths. The Aircast Walking Brace Weather Cover is designed to repel the elements and to keep the walking brace clean and dry. The Velcro closures on the back of the cover allow for easy application. Open bottom allows sure-footing for ambulatory patients. 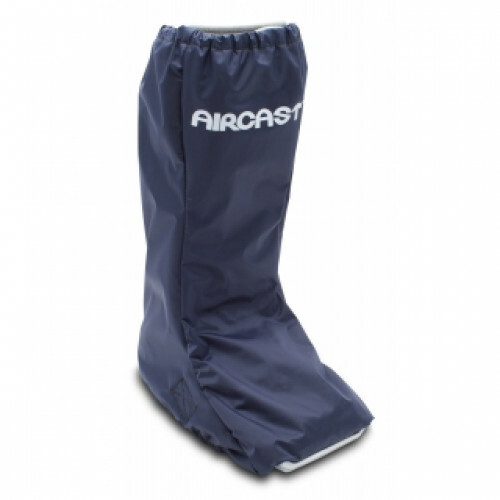 The Aircast Walking Brace Weather Cover is available in Tall or Short, and in three sizes.